If you are planning to convert an existing house into a B&B then the usual planning permissions and building regulations will apply, as they would to any construction, and there's a few other little bits and pieces you'd have to take into consideration too. The relevant regulations and planning permission issues that surround any construction are liable to frequent change, so you are strongly advised to get up-to-date local advice before proceeding with any expensive construction. The first step for a potential B&B owner is to apply for permission to run the business from their home. You may think this is a simple step, after all, what could be complicated about renting out a few rooms? But the planning authorities might have other ideas and will take you to task if you have not properly researched the changes to your property and their effect on the neighbourhood. For example in a tourist area there will be a local tourism plan and if your prospective B&B is outside the area that's been designated for accommodation, or if there are simply too many B&B's in the locality already, you may have your construction plans knocked back. Car parking for B&B guests can be a contentious issue. Can you provide parking for all the expected guests without offending your neighbours? Neighbours may also be concerned about noise too, your guests might be very pleasant people but they may wake neighbours up just by talking and laughing loudly on the way back from the pub after closing time. And assuming you get approval for your B&B, you'll need to make sure that the construction will take place with minimal disruption to your immediate neighbours. It' won’t be any fun running a B&B from home if you've fallen out with the whole street. Building Regulations Approval Comes Before Construction. You'll need planning approval before the construction of the B&B begins and increasingly these days local authorities approach this by setting targets for you to achieve. These allow you to be creative in how you approach them and meet them but with more definitive regulations you at least know what you need to do to comply. 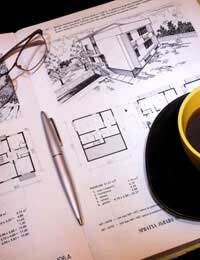 Building approval and planning approval for a B&B construction project can at least be applied for at the same time. This makes sense as otherwise you could end up going backwards and forwards if the demands of one contradict the stipulations of the other, which can occasionally happen. Planning permission and building regulation requirements for the changes to the building will not be a great deal different that different for an ordinary extension or modification, but there may be some extra caveats. For example, you may be required to design parts of the building to be accessible by disabled people but this specific stipulation shouldn’t be too arduous. Apart from the fact that this isn't a massive extra expense if it's designed in from the start, you will have access to a loyal market who appreciate accessibility and the efforts B&B owners have made to achieve it. The best way to approach the whole planning and building regulations issue is to be in constant contact with your planning department and negotiate along the way. It's a lot cheaper and less disruptive than having to reverse your construction plans after they’ve started. And although you can appeal against planning authority decisions, it's an expensive process and best avoided in the first place. What is the size of the b& b bedroom and the bathroom facility?